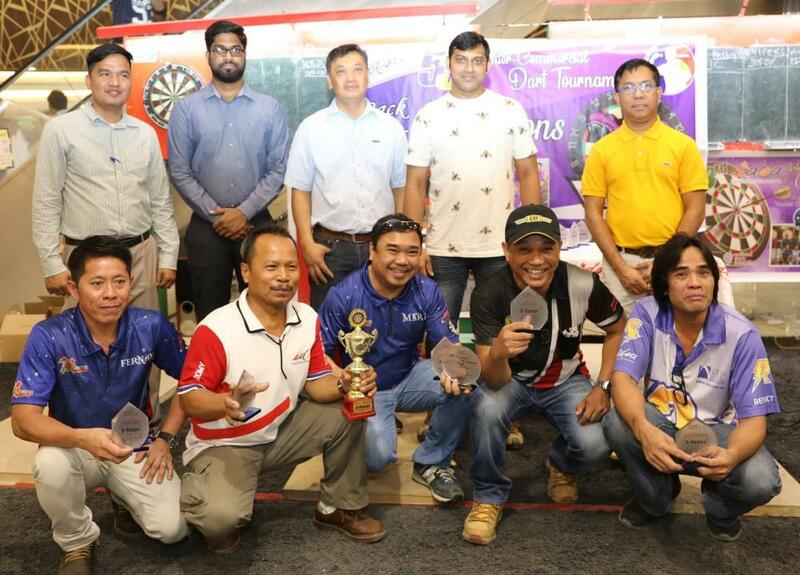 RIYADH — The first round of the 54th EDSA Dart Team Tournament, sponsored by Nesto Hypermarket, Arab National Bank and Elmer Cruz, ended during the week with Noel Borromeo’s team grabbing the solo lead marking a perfect 6-0 win-loss record denying all six other rivals enlisted for this event. 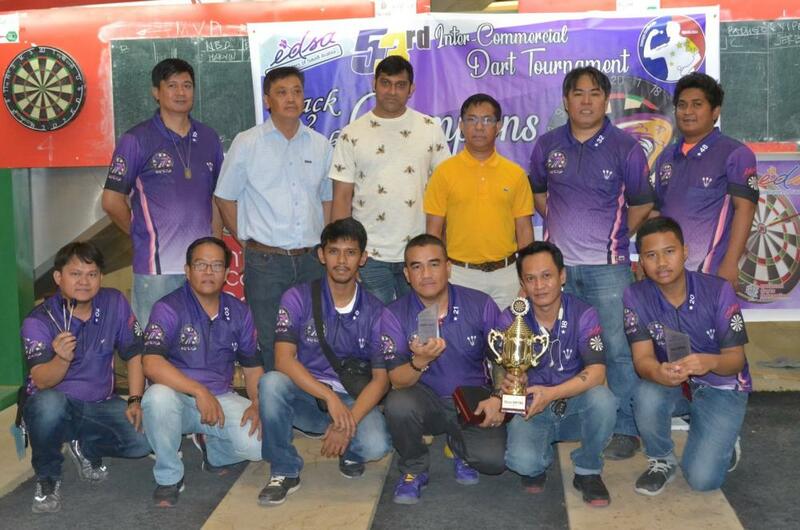 Back to back champion Vipers of Emer Parago finished with a 5-1 scorecard in the second spot. Brand One, headed by Juan Tapel, took the third place (4-2). Bulleros, D’Pirates and Angels of Noel Doringo tied at 2-4, while Team Tropa (Padugo Boys) is on last spot (0-6). In the individual standing, Benedict Montanez is on top with a 5-1 win-loss record, accumulating 5.75 points. Montanez recorded one highest outshot and cherry outing to stay on top. Greg Beringa, one of the top players of NBD Magnitude, grabbed the second spot with 5.50 points with a Ton-80 record. Ariel Laxa and Yanzy Blanche, both from the champ team Vipers, occupy third and fourth places, respectively with 5 points each. Dennis Santos, Rene Baduya and Jess Dela Cruz have the same score from fifth to seventh spots. Valentin Bajade Jr., Bong Bardon and EDSA President Emmer Cortez grabbed eight to tenth spots. 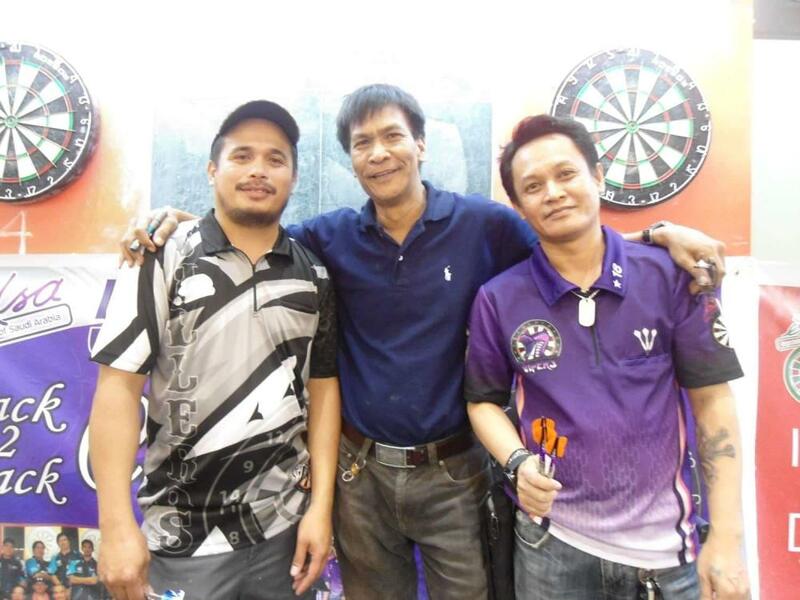 Meanwhile, Bong Bardon denied EDSA Vice President Tony Benting the much-coveted title in the Class B Classified Singles via best-of-three showdown. Benting rose from 12th place and defeated three contenders, while Bardon denied two opponents to reach the final battle with Benting. 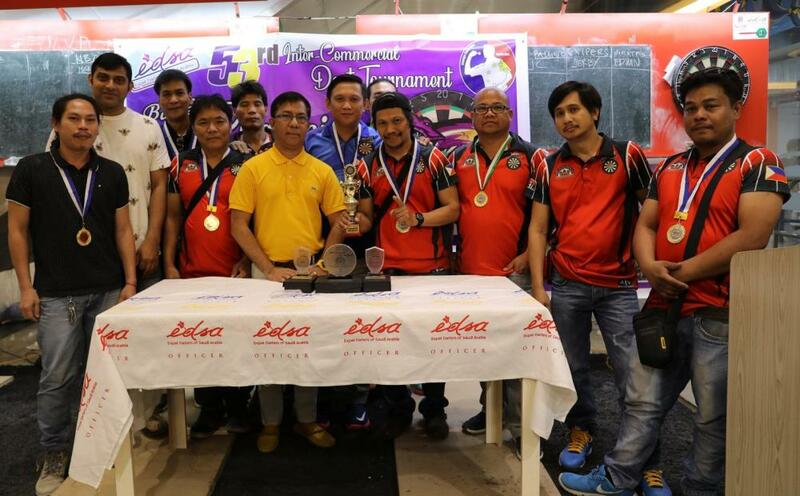 The awarding ceremonies of the 53rd EDSA Dart Tournament also highlighted the winners in the team and individual categories presented by EDSA President and officers with Nesto managers and special guest Rannie Basanta of SE Productions. Games are played in 01 mode, 8 singles, 4 doubles and 1 team match for a total of 19 points. First team to seal 10 points will be declared winner. Games start at 2:00 p.m. every Friday at the ground floor of Nesto Hypermarket, Villagio Center, Batha. Tournament Directors for this season are Romy Gorembalem, Bert “Issa” Reyes, and Jun Jizon.